NuTonomy's robo-taxi fleet in Singapore includes 20 Renault Zoe superminis. 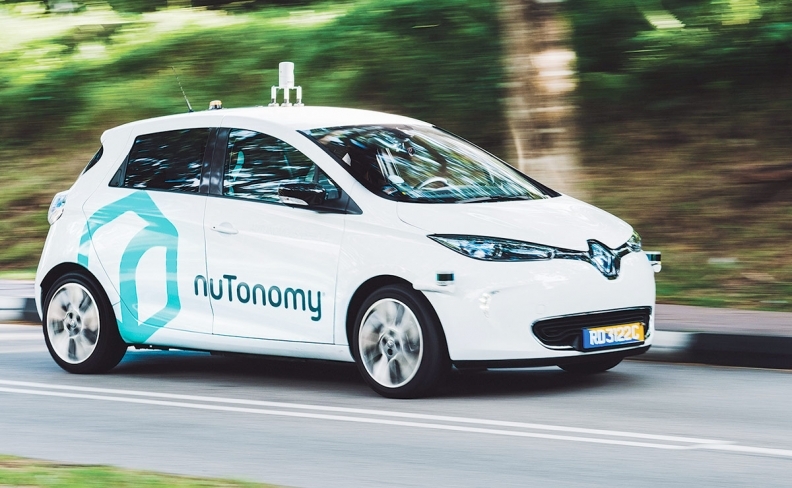 Delphi's announcement last week that it will acquire software startup NuTonomy will give the U.S. supplier three advantages in the race to deploy self-driving vehicles. 1. NuTonomy's 70 engineers and scientists will nearly double the size of Delphi's r&d team devoted to autonomous driving. 2.The Boston company's robo-taxi fleets in Singapore and Boston will help Delphi accelerate its own road tests. 3. NuTonomy and Lyft are developing vehicle-to-passenger information systems for autonomous vehicles. That relationship will give Delphi access to the fast-growing ride-hailing market. In 2016, NuTonomy launched its robo-taxi service in Singapore. That service now employs a fleet of 20 Renault Zoe electric superminis plus two Peugeot 3008 crossovers. In Boston, city officials last week approved NuTonomy's request to allow a smaller fleet of Zoe taxis to transport passengers. The Boston test will give NuTonomy a chance to test its taxis in winter. As it happens, Delphi has announced plans to deploy small fleets of robo-taxis in Singapore and Paris, and it has hinted at plans for a third fleet in Pittsburgh or Boston. When the acquisition is complete, Delphi says it will have 60 autonomous vehicles in the U.S., Europe and Asia. In an interview, NuTonomy CEO Karl Iagnemma predicted that ride- hailing fleets will offer the first large-scale opportunity for automakers to field Level 4 self-driving vehicles. "We are focused on robo-taxi opportunities," Iagnemma said. "Philosophically, Delphi and us see the world the same way." There is some overlap between the companies. NuTonomy has developed software that can identify objects, map the road and maneuver the vehicle. Delphi also has developed software to navigate the vehicle. But Glen De Vos, Delphi's chief technology officer, said last week that Delphi will use both software packages. NuTonomy will remain in Boston with its research team, De Vos said. If so, NuTonomy appears to have the green light to launch the next phase of its Singapore service. Over the past year or so, the Singapore fleet was used for a pilot program that "focused on getting people into the cars and giving them a trip around the block," Iagnemma said. "In 2018, we'll offer a taxi service that gives people a way to get around the city — not just a novelty." NuTonomy's work with Lyft will give it an opportunity to figure out how travelers should interact with robo-taxis. In May, the companies signed an agreement to develop vehicle information displays. How would a passenger change the destination in midtrip? And how much information should the vehicle impart? 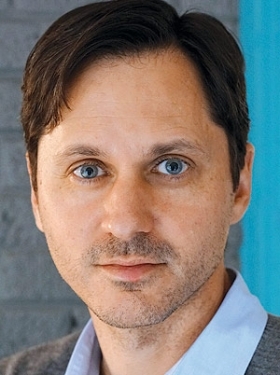 "I would argue that you can run the risk of sharing too much information," Iagnemma said. "But we believe the rider needs to know what the car is going to do next. It's a good way to create trust, but it will be tricky."